Farther’s Day — the PostSecret way. One of the first things I do on a Sunday morning is to read PostSecret. Today’s one is dedicated to all the Farthers out there, being Farther’s Day. Being a single dad, if it was not for my children, life would have been very lonely and a real struggle. To all dads out there, appreciate your children, treat them with respect and give them unconditional love. This blog was just upgraded to WordPress 3.0 … if you see anything that just do not look righ then please let me know. And the winter with all its snow has arrived. 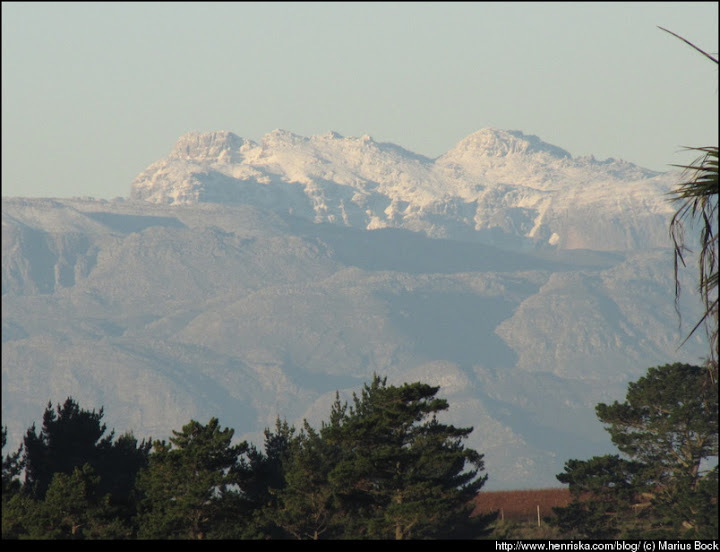 It is freezing cold here in the Cape at the moment and looking at the mountain tops, you can see why. Today was the first clear day after the rain of the past couple of days. When I arrived home, I took some photos from my balcony. You can see all the photos in my Picasa album. One of my favourite catoonists is Jeremy Nell and today he hit the nail on the head when it came to how my head is feeling. I just hate this damn vuvuzelas after being awaken at 6 am when somebody decided it is cool to wake up the whole neighbourhood. Google Streetview was enabled/launched in SA today and look what I found. Yes, that is the entrance to the security complex where I stay. So if you want to come for a visit just follow the wines :). All the complexes and streets are named after some wine. I stay in a complex called Pinotage and it is in a street called Riesling. True Coffee Lovers … yes I am one. If you cannot read above then click to see bigger one. I am in that 5% above (except I do use a bit of sugar – life is just too bitter in any case) .. amazing how many people say that they are Coffee Lovers and then fill half the mug with milk and use some cheap coffee or even something that is not 100% pure.